"THE BIGGER THE LIE THE MORE THEY BELIEVE IT"
WHAT DO THE MASTERS OF LIGHT SAY ABOUT SATHYA SAI BABA? Interlocutor: ... What is the truth about the psychic healers? I mean to Philippine and Brazilian Healers especially, they say, they make psychic surgery, they remove tumors and they cure. The concrete question is if it is possible to use the hands as if they were scalpels, that is to say, to cut the flesh of a man and then heal him at once without leaving any trace of the surgery. Johnakan Ur-El: They are tricksters! Johnakan Ur-El: Absolutely. Although there are many people that say to have witnessed it, they work in such a way, with so much ability that those who see, even at few centimeters of them don't discover the trick. Interlocutor: The Philippine or Brazilian healers, then, are perfectly aware that they are tricksters? I ask it to know if there is no obnubilation, something religious fanaticism or something like that that blinds them to the truth and they believe honestly what they are doing. Johnakan Ur-El: Of course they know they are tricksters! Even Very well-known journalists and scholars in the topic have been deceived, since these fake healers are very skilled to deceive. Interlocutor: Are we talking about a supposed avatar that lives in India, called Sri Sathya Sai Baba? Interlocutor: Isn’t that avatar a being of Light? Johnakan Ur-El: No, not at all. He is a being whose Thetan is in the third level of vibration. Interlocutor: Then he is a spirit of Error!!! Interlocutor: Does he use hypnotism to hoodwink people? Johnakan Ur-El: No, he simply has good dialectics. Interlocutor: Did he do some things like David Copperfield? Johnakan Ur-El: No, because his tricks are very elementary. In some occasions he has really made transubstantiation helped by the entities of Error, of the planes 2 and 3. Interlocutor: And how did they achieve it? Johnakan Ur-El: Infinity of spirits of error join to "make focus" and they achieve that objects be materialized and dematerialized. 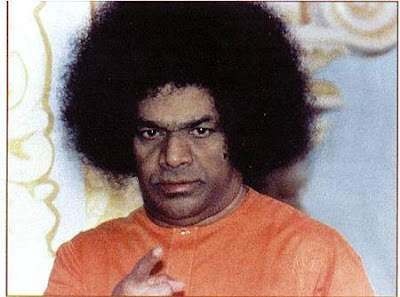 Interlocutor: How does this alleged avatar “Sathya Sai Baba” get the help of those lower entities? Johnakan Ur-El: Because he directly is in combination with those entities. He absorbs energetically many people with he has connection with and later on He transmits that energy to the spirits that helped him, so that they get power in their respective plane of vibration. And those entities, in exchange, support him in the physical plane. It is a simple exchange of favors. Interlocutor: I understand. The point was properly clarified.